Fr. 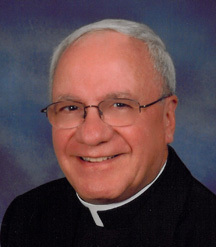 Anthony Krisak, ordained in 1975 for the Diocese of Trenton, received his Doctor of Sacred Theology degree from The Catholic University of America, and has written extensively on sacramental and liturgical life, edited Evangelization Exchange, and developed numerous online courses and webinars on evangelization. He brings experience from teaching, seminary formation, and parish life. He has been associated with St. Rose of Lima Parish in Gaithersburg, MD, for 23 years. Fr. Frank DeSiano, CSP, ordained in 1972, has spent half his ordained years in parish life, serving as a pastor in New York City and Chicago. He earned a Doctor of Ministry degree in 1990 after completing a thesis on “Parish Based Evangelization.” A former consultant to the US bishops Committee on Evangelization, he has written extensively on evangelization, parish organization, spirituality, and discipleship.